If you were at Shoal Bay in June 1999, you might have wondered about the large group of college students there. 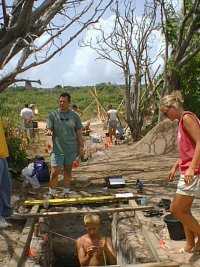 This was the second archaeological field trip from the University of Vermont to Anguilla. 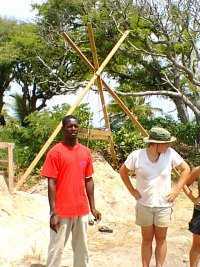 The student group receives academic credit for their work in Anguilla. 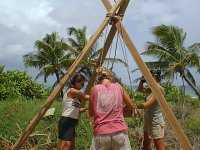 They stayed at Spin Drift on Sile Bay. 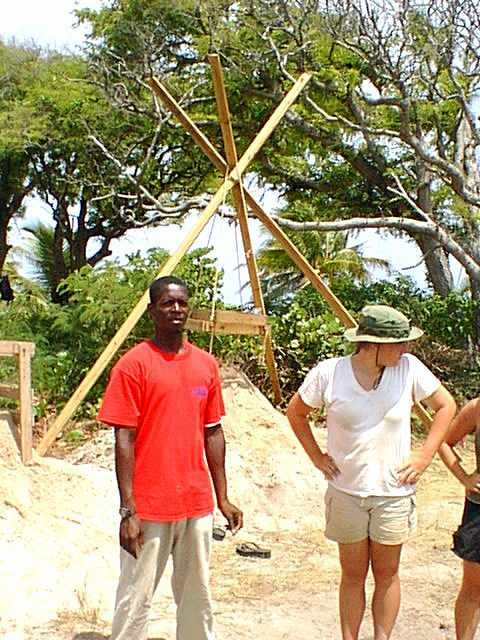 Budding archaeologist John Crock, who lived in Anguilla for two years, was here again this year (John is still working on his PhD dissertation, based on his field work in Anguilla). 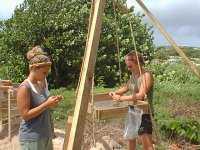 Last year John and a group of students and supervising professors did an a excavation in Sandy Ground which was very successful. This year the field trip class was completely signed up in less than 6 hours, so the group from last year must have spread the word about their excellent visit to Anguilla. 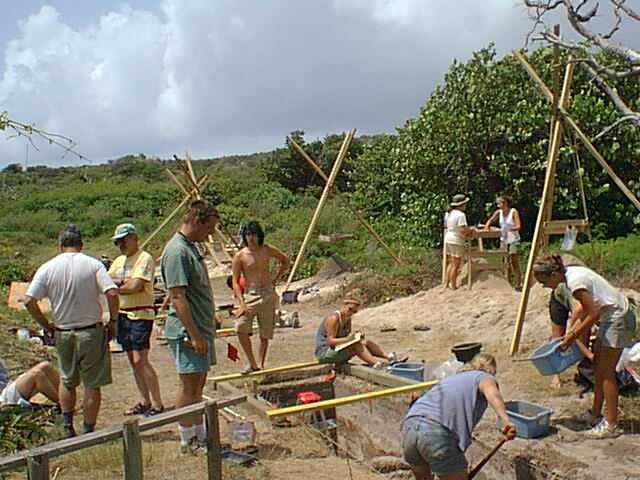 The excavation site was next to Elodias Bar and Restaurant on Shoal Bay. 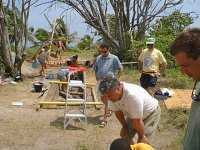 The students dug a trench about a hundred feet long and up to five feet deep. 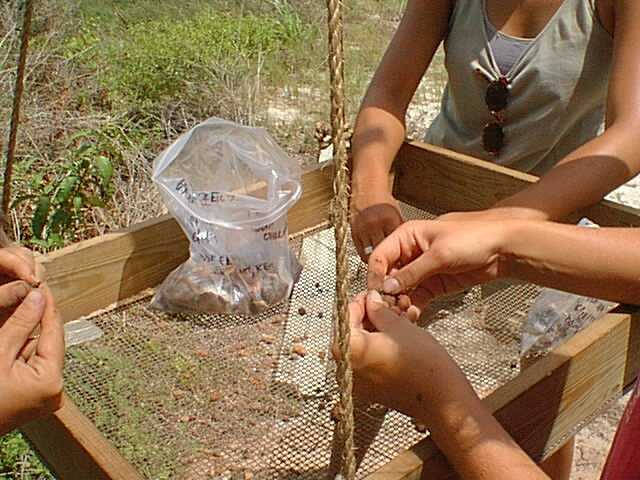 Every cubic foot of sand that was removed from the trench had to be sifted for artifacts (shell fragments, tools, pieces of pottery, etc.). Then whatever is discovered in that chunk of sand is bagged and documented as to location and condition. Later it will take hours of analysis to figure out what the findings and their distribution can say about the people who lived on the site and their society. 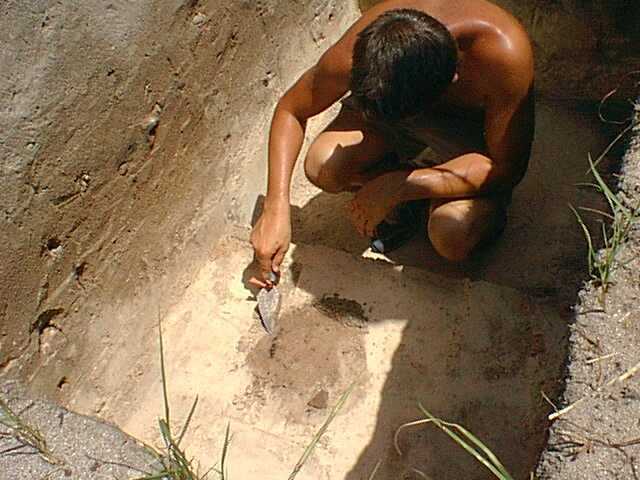 In fact, for every man-hour of the week-long dig, there will be four or five hours of lab and analysis work! I learned that there was a post hole located in that area which is an indication that there was habitation. There are also pottery, shells discarded after eating, and actual charcoal from cook fires. 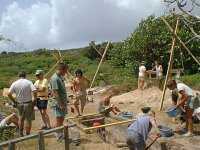 The archaeologists are going to test the sand when they get back home. That's why it's important when they are scraping the trench walls that they cut of the roots that are there now (they use a scissors). I really enjoyed the experience of visiting the site; it made me respect TIME. The pictures above show the discovery of a dark circular spot in the sand that is the remains of a post, probably for a building. 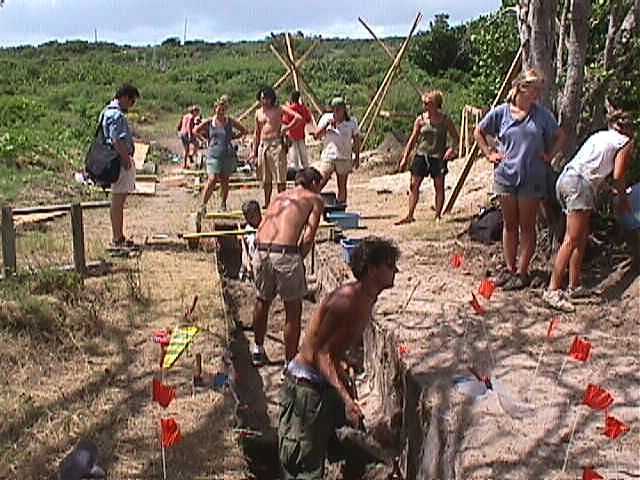 The students and supervising archaeologists gather round to ensure that the find is handled carefully. 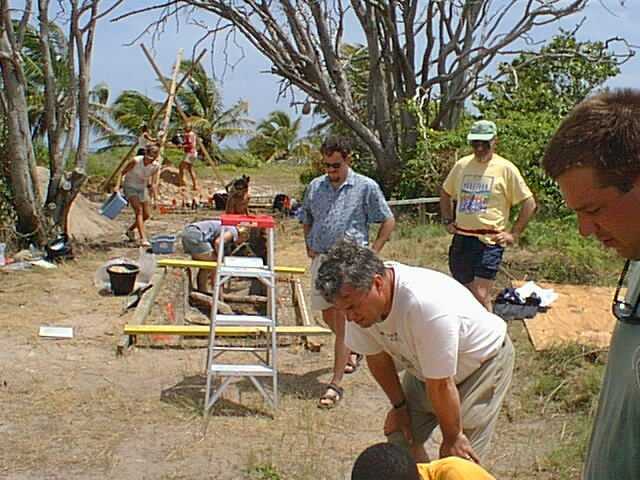 The best guess of the archaeologists is that a community of about 500 people once occupied the flat sandy area from Uncle Ernie's to Serenity Restaurant at Upper Shoal Bay. As the students dig down into the sand, they find layers of white sand. These were laid down by major hurricanes of the past, including Hurricane Luis in 1995 which laid a new layer of white sand at the top!